Well, Neil, that “informed democracy” you speak of is well and truly over. Politicians are so ill-informed these days that they come out with some pretty ridiculous and unscientific nonsense. Net neutrality (also known as open Internet) has returned to the news, with communications companies fighting the FCC to give some sites priority use of their bandwidth. Under the current legislation, all Internet is created equal, with no traffic getting precedence. Ten [movies] streaming across that Internet and what happens to your own personal Internet? I just the other day got, an Internet was sent by my staff at 10 o’clock in the morning on Friday and I just got it yesterday [a Tuesday]. Why? Because it got tangled up with all these things going on the Internet commercially. Got that? It’s not a truck, like we all used to think in simpler times, but a series of tubes. Admittedly, to some extent, this kind of is how the Internet works, but Stevens’s old-man-yells-at-cloud rhetoric only served to boost his profile as an online joke and occasional Daily Show whipping boy. David Cameron, the UK’s least-beloved prime minister since Margaret Thatcher, decided to cement his reputation as the inspiration for Marvel villains by personally commissioning a 70-percent reduction of the English countryside’s badger population. Culling contractors, who must be the world’s most pathetic out-of-work hit men, took it upon themselves to catch badgers, hold them in a cage overnight, and then shoot them at dawn in some bizarre, messed-up ritual. So why did Cameron carry out this badger genocide? Supposedly, he thought it would reduce TB in cows, but when an independent panel of experts informed him that the cull would not actually do this, he decided to extend it for another eight weeks and then bring it back the next year. Enter David Attenborough. Attenborough stepped in to say that extending the badger cull is “simply ignoring” the science. Attenborough is literally the voice of nature. If he says something about animals in those dulcet tones, you know it’s the truth. Nevertheless, Cameron decided to indefinitely continue his personal vendetta against our black and white furry friends. Cameron said that he knows that badger culling is his least popular policy and that many experts say it doesn’t work, but he is determined to press ahead with it because he “profoundly believes” that it is right. In other words, no scientific study or expert analysis is as powerful as a career politician’s personal belief. All of this is surprising, really, since Cameron used to be on such good terms with animals. In November 2000, Al Gore won the popular vote in the US presidential election, but George W. Bush was crowned president. Not-President Gore spent his time educating the public on climate change and released an inexplicably popular documentary that everyone pretended they didn’t find boring. In an alternate universe where the centuries-old election bureaucracy that handed Bush the victory was dropped, President Gore might have spent all of his time in the Oval Office pushing for climate change reform. Eventually, the polluting industries complied due to huge public pressure, the Earth was preserved for future generations, and no one had to sit through An Inconvenient Truth. In reality, thanks to Bush’s denial of even basic science and his multiple attempts to mislead the public, the planet is doomed to become a burning fireball in as little as 8,000 years. Experts at NASA, the authority on all things planet-related, say that climate change is a very real threat to humanity. 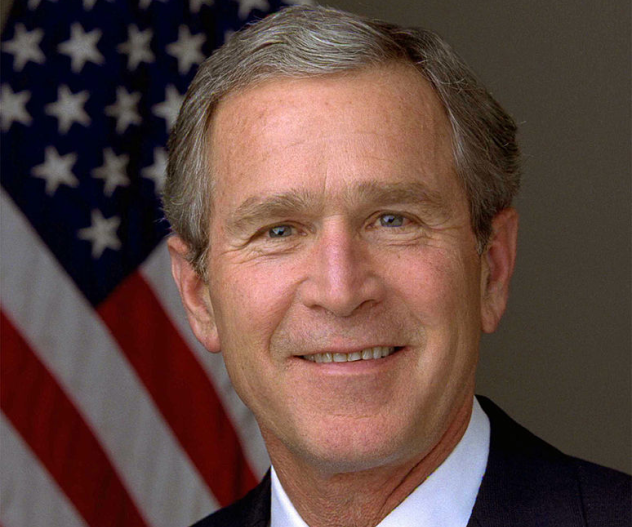 In one of his first major speeches, Bush informed the public that he had decided that climate change was indeed something the government had to deal with. But as the speech went on, it became clear that Bush was not going to deal with climate change at all. Instead, he announced that climate change science was not proven and that the US would not try to meet the greenhouse gas reduction targets outlined in the Kyoto Protocol because they placed too big a burden on the country. He said this, of course, for the money. Despite all the advice from leading scientists, Bush refused to cut carbon emissions, and heavy industry lobbyists thanked him for it. There was a little problem with this setup, though—science. For some reason, pesky scientists thought it necessary to publish research revealing the Bush Administration’s skepticism as unjustified and politically motivated. To solve this problem, Bush censored the output of any government scientists whom he disagreed with. In 2003, he removed all global warming data from an EPA report and replaced it with research funded by the American Petroleum Institute. Since Bush left office, the climate change problem has not been solved, but at least Barack Obama has “gotten some stuff done,” according to a leading activist. Rather than trying to mislead the public through censoring scientific research, Obama has tried to persuade the public that even more needs to be done on global warming. Sure, marijuana is becoming more and more acceptable in the eyes of the law, but the war on drugs still rages on. It’s worth pausing for a second to reflect on just how little progress has been made since the war was officially declared by President Nixon in June 1971. Richard Nixon always seemed like a president who didn’t overly care how people felt about him. He was the president, and the public put him there. But his War on Drugs, which played out more like a war on addicts, was one of his most aggressive acts. Like most politicians, Nixon was open to taking science seriously if it supported his stubborn opinions. In 1970, he set up the Shafer Commission to investigate marijuana use and its negative effects. Nixon appointed many anti-drug campaigners to this commission, hoping that they would come to the same conclusion that he’d already arrived at without their advice: Marijuana must be banned. After 50 research projects, public polls, and studies of the justice system, the commission came to the exact opposite conclusion and began to prepare a report on its findings, which included recommending legalization. Of course, Nixon was having none of this. If the science didn’t back up his conclusion, he would have to get rid of the science. The Schafer Commission was disbanded before it even issued its report, and Nixon went on to lay the groundwork for a system of laws that would ruin the fabric of the nation and claim thousands of lives without reducing drug usage at all. On the bright side, the War on Drugs did lead to one of the most bizarre moments in pop culture history: Elvis Presley personally wrote to Nixon to request that he be given permission to personally hunt down drug abusers, and Nixon enthusiastically granted this request in a public meeting between the two. Ben Carson—perhaps the only presidential candidate to enthusiastically claim he did try to kill someone (in the face of news reports questioning his story)—believes that the Egyptian pyramids were used to store grain and is convinced that the Holocaust could have been prevented if only Germany had fewer restrictions on gun control. Given his tenuous grasp on history (both his own and the world’s), you’d think Dr. Carson, who was a noted brain surgeon before he entered the political sphere, would have a slightly better grasp on science. Sadly, if anything, he seems more against his own field of expertise. To Ben Carson, science is the enemy. You have all these highfalutin scientists, and they’re saying that there was this gigantic explosion and everything came into perfect order. [ . . . ] Our solar system, not to mention the universe outside of that, is extraordinarily well organized, to the point where we can predict seventy years away when a comet is coming. Now that type of organization to just come out of an explosion? I mean, you want to talk about fairy tales, that is amazing. You can tell that Ben Carson genuinely understands the physics behind the big bang. He gets the layman’s version of the theory behind the existence of the entire universe. He completely understands the words. But when they’re put to him by those pesky “highfalutin scientists,” it just doesn’t make sense. It has recently been concluded that e-cigarettes are 95 percent healthier than smoking. The UK’s National Health Service has even declared them so much better than conventional cigarettes that they might be prescribed as medication to help wean addicts off the much more dangerous alternative. It’s likely the government never checked the science at all. Rather, the move was likely made as a populist stunt to court a certain brand of “think of the children” voters or out of a fear that international e-cigarette advertisements were becoming so sexualized that the islands would devolve into a writhing, orgiastic mess. Whatever the case, as long as governments can justify their stupid decisions as a public safety measure, you can be certain that they will do so. Somewhere in a dingy lab in the dark days of 2007, a depraved group of “American scientific companies” were working on an experiment that would change the world forever. Ostensibly researching the healing potential of embryonic stem cells, this shady collection of scientists were, in fact, cross-breeding humans and animals on a mass scale. After creating countless abhorrent creatures with limited intelligence, the companies finally perfected their monstrous experiment: They had given life to mice with fully functioning human brains. The Island of Dr. Moreau suddenly became a reality. At least, it did in the mind of Tea Party campaigner Christine O’Donnell, who took to The O’Reilly Factor to air her worries. She ended up making Bill O’Reilly sound like the voice of reason. O’Donnell probably misread a 2005 study that talked about growing human brain cells in mice—much less terrifying than mice developing functioning human brains. In fairness, “mouse people” would probably do a better job running the world than most of the people on this list. You’re probably aware that Donald Trump doesn’t like a lot of things—women, the media, Muslims, Mexico . . . It’s a long list. The man who blamed the Chinese for climate change (and later claimed he was joking) hasn’t exactly been a friend to science in the past, either. That’s a sad story, to be sure. If only it were true. Shortly after the debate, The Washington Post reiterated the shady backstory behind the anti-vaccination movement. It all came out of a study based on some extremely botched and biased research on only 12 test subjects. The study has been officially retracted, and numerous experiments since (on thousands of test cases) have regularly disproved any link between MMR vaccination and autism. Even licensed creationist Ben Carson, the GOP’s resident expert on science and history, had to disagree with Trump: “We have extremely well-documented proof that there’s no autism associated with vaccinations,” he told the debate’s audience, marking a rare moment of sense and logic. How many Republicans does it take to change a lightbulb? 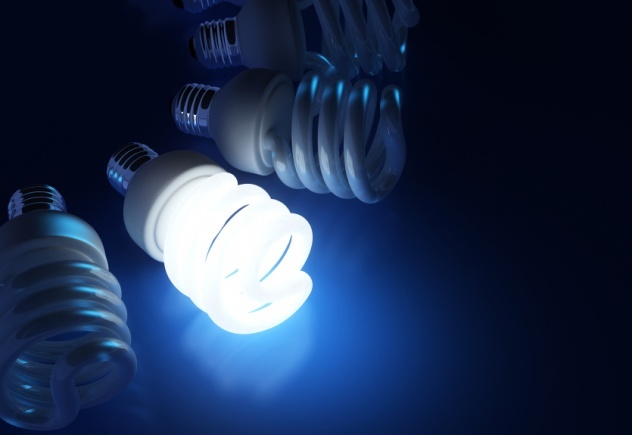 Texas congresswoman Sandy Adams made a “noble effort” in 2011 as one of many Republican politicians who put their name to an amendment banning energy-efficient lightbulbs. Adams wanted an amendment made to an energy- and water-spending bill, cutting funds for any website run by the Department of Education “which disseminates information regarding energy efficiency and educational programs to children or adolescents.” One of her prime targets was the government-run website Energy Kids, which was set up at the start of 2010 to teach US youth about the different types and uses of energy. A government-run information resource for children sounds like a good idea, right? Not according to Sandy, who insisted that the site’s claims that, “Scientists know with virtual certainty that increasing greenhouse gas concentrations tend to warm the planet,” was pro-climate change propaganda and a waste of taxpayer dollars. How much money would taking Energy Kids offline have saved the US population? If the US Department of Energy, which is responsible for the site, is to be believed—$47,500. The bill wasn’t passed and lost by a vote of 181–232, despite the House majority being made up of GOP members. Energy Kids is still alive and kicking, continuing to peddle its filthy facts about the perils of petroleum. Putting aside the fact that religious imagery should probably be kept away from scientific debate, Broun’s comments went on to become even more ignorant: He said that he had scientifically discovered that the Earth was only 9,000 years old, that it was created in six days, and that anyone who believes otherwise “needs a savior.” Clearly, Broun’s scientific research extends no further than picking up a copy of that great scientific journal, the Bible, and randomly picking out extracts. With a “science committee” like that, it’s no wonder that the US government pays so little attention to actual scientific research. Freelance humorist and open mic performer based in London, fast becoming the Oscar Wilde of online whimsy. Follow @samlhargreave for witty insights!